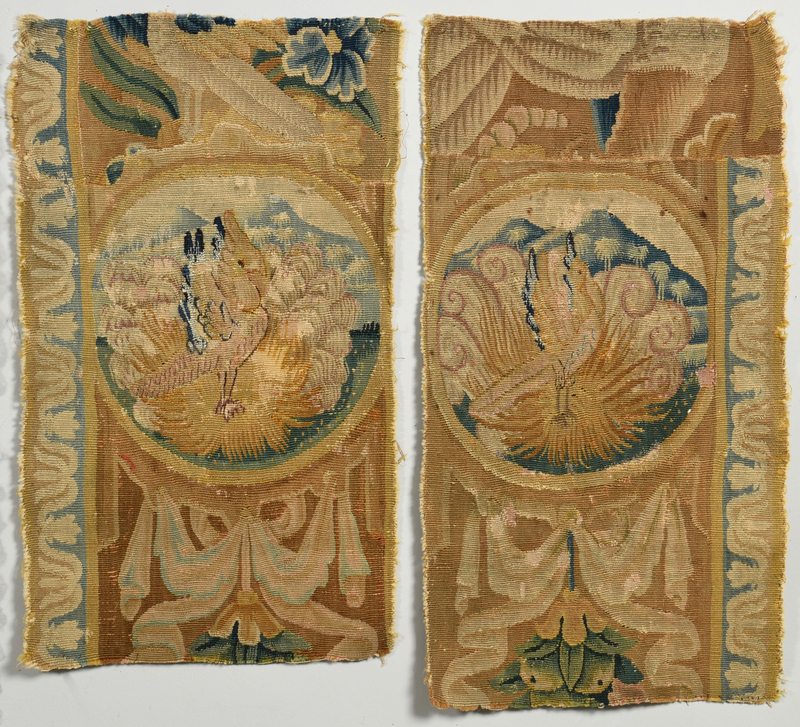 1st-2nd item: Two European wool tapestry fragments having central bird design, possibly Flemish. 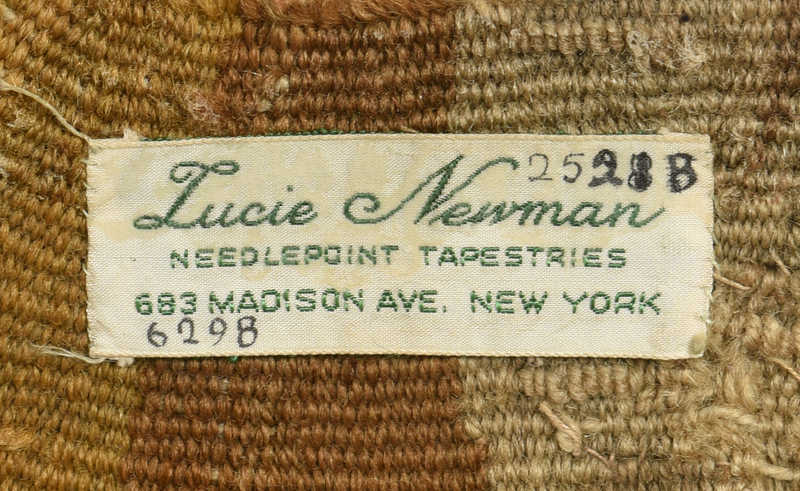 One retains a retailer label from "Lucie Newman Needlepoint Tapestries, 683 Madison Ave., New York, NY". Primarily earth tone colors with blue highlights. Fragments measure 29 1/2" x 16 and 27 1/2" x 16 3/8". 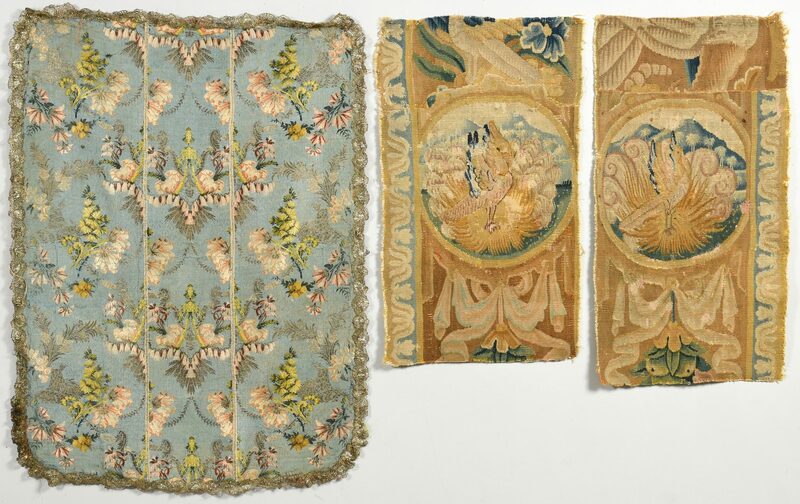 17th or 18th centuries. 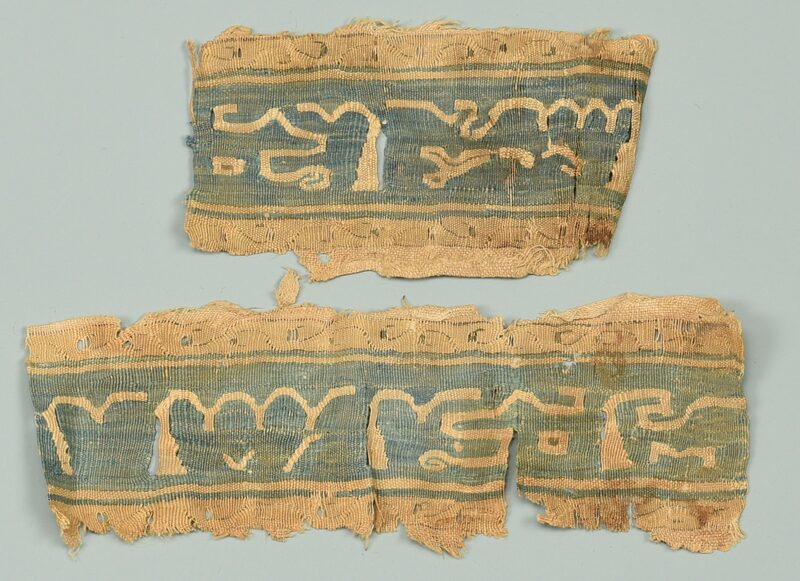 3rd-4th items: 2 Egyptian Coptic textile fragments, rectangular forms executed in blue and tan colors, depicting stylized animal and script. Most likely linen. 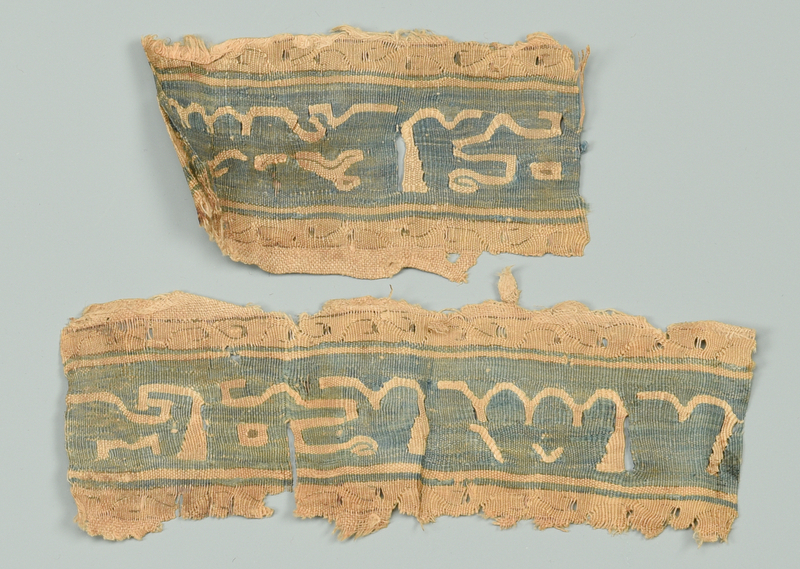 One measures 4" L and the other 3" L. 7th century. 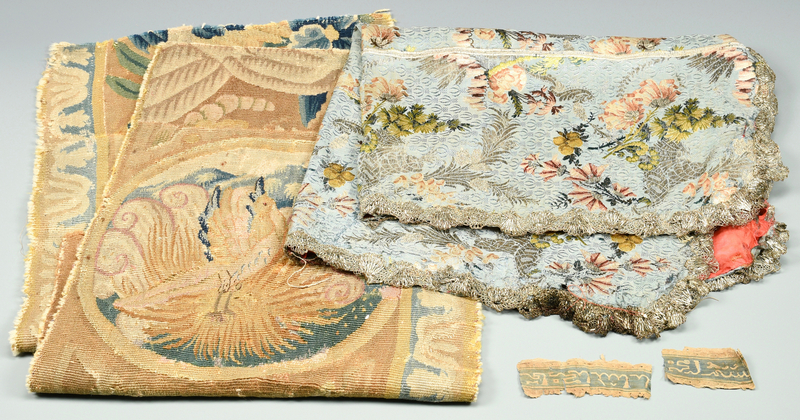 5th item: French silk brocade textile, 3 pieced floral design pieces on a blue field with red silk backing and French silver metallic braided trimming. 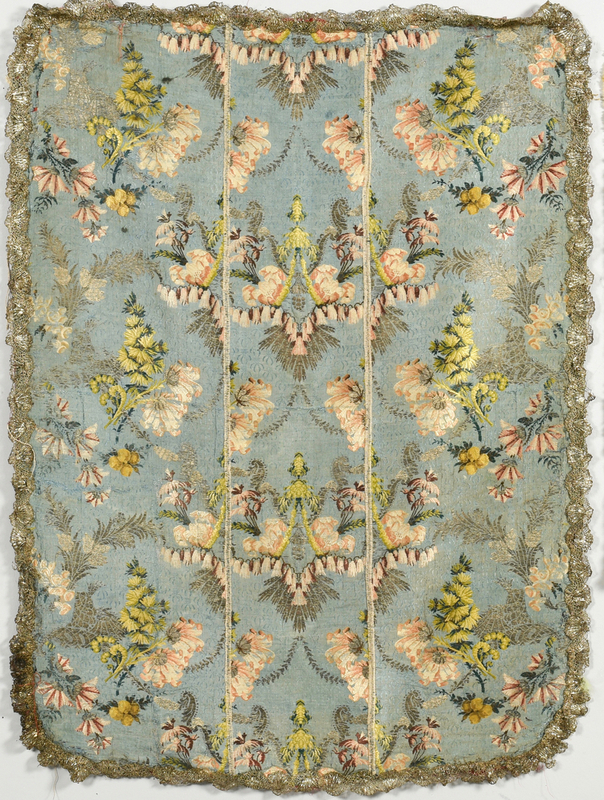 38" H x 28 1/2" W. 19th century. Provenance: William Zarnon Estate, Gatlinburg, TN. 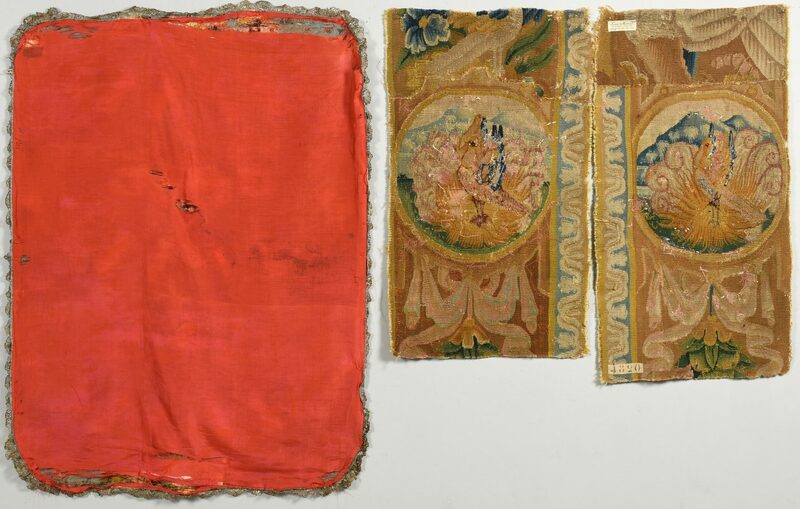 CONDITION: 1st-2nd items: The larger textile with some holes and stains. The smaller example with some holes and areas of repair. 3rd-4th items: Some expected wear and stains. 5th item: Some scattered tears to fabric, especially near the borders and to red fabric.